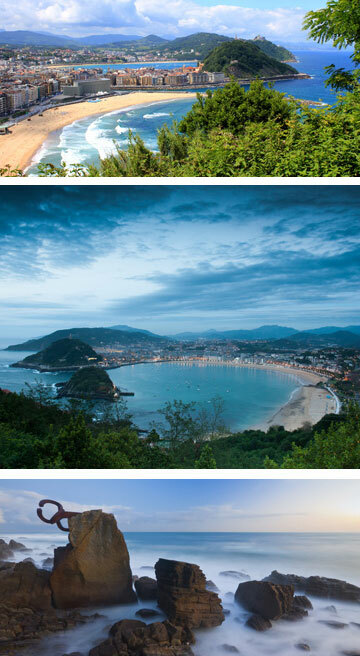 San Sebastian, the ideal place where the tourist will find a wide range of possibilities. San Sebastian is referred as the Pearl of the Cantabrian sea because it looks like a pearl inside the shell of La Concha Bay. It is one of the most beautiful cities in Spain. Its three beaches offer different environments such as the family atmosphere of Ondarreta, the elegance of the famous beach of La Concha and Zurriola where surfing is the king of sports. 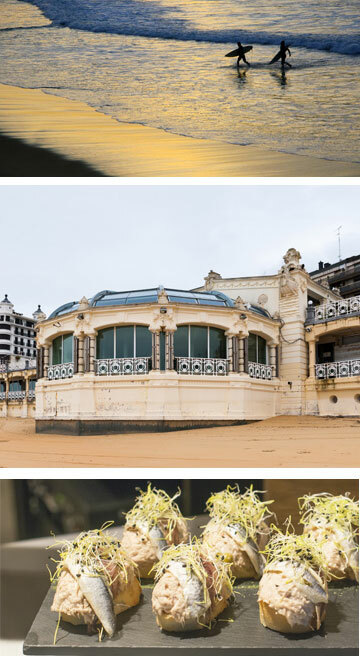 Tourists from all over the world arrive to San Sebastian attracted by the variety of the cultural offer. Its festivals such as the International Film Festival or music festivals, such as the International Jazz Festival and the Musical Fortnight, makes the city a place where art is in every corner. Gastronomy is another main tourist attractions of the city. It stands out not only for its quality, but for the true passion creating dishes or the famous pintxos, miniature delicacies. Regional festivities, as the Tamborrada, that takes place on January 20, day of San Sebastian, or “Semana Grande” ,the big week of the city, famous for its International Fireworks competition, as well as no less attractive others, offer a unique way of learning about the culture and tradition of the city. Simply strolling through the streets seeing everything that surrounds you, makes even shopping another enjoyable activity.